How do we conform to the image of Jesus Christ? How do we grow in maturity as believers? How do we truly live out and experience all that God is and all that He offers to us? The Experiencing God's Story series answers these questions and more through an examination of twelve essential topics of spiritual formation. Presented through the three-step process of spiritual development--"believing, behaving, and becoming"--each topic examines a passage of Scripture, identifies and explains the theological principles of spiritual formation, and offers personal application for continued spiritual growth. 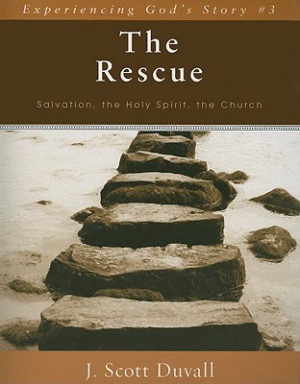 The Rescue by J Scott Duvall was published by Kregel Publications in December 2009. The ISBN for The Rescue is 9780825425974. Be the first to review The Rescue! Got a question? No problem! Just click here to ask us about The Rescue.